Kampfar began their journey over twenty years ago, their career has been plagued of success in certain circles, but haven't yet reached the full recognition that they deserve and therefore unjustly relegated to the second page of the Black metal history, the band has clearly demarcated their own path into two episodes, the first episode embrace four albums which can be iconic for the sub genre specially "Mellom skogkledde aaser" released in 1997, but we will focus on the latest episode, that started in 2010 with departure of guitarist and bassist Thomas and one of the cornerstones in Kampfar sound, causing a shift in the composition that excels superbly, without underestimating the sound of yesteryear. 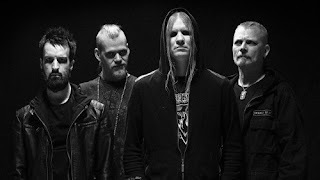 "Mare" released in 2011 began the most accessible Black metal period, stepping into a more melodic and powerful sound, but remain heavy with dense ambiances, during 2014 Kampfar released the sequel titled "Djevelmakt" which is not a superfluous Black metal album, it is an abundant recording on emotions, strength and creativity, but "Profan" becomes the link that unites these two previous albums with a more powerful sound and the most consistent in their songwriting. The album opens with "Gloria Ablaze" eerie riff that explodes in your speakers with fury, dragging you instantly into a chaotic abyss, that gradually turns into a wonderful doom piece totally loaded in heavy tones, contrasting with slamming drums reaching its pick when the blast beats set in, the guitars are raw, while the morbid vocals linger deeper in your soul, "Icons" is another outstanding cut, it is intense, dynamic with orchestral arrangements and defiant drums, adding choruses that give an epic sense, "Daimon" not only one of the best tracks in the whole album, it works as their promo video clip, structured with infectious guitar riff that unleashes mighty landscapes of the underworld, relentless drumming while the raging vocals blend with the music seamlessly, the last song "Tornekrattet" seems to be the perfect closing track, skillfully with heavy melodies and gloomy passages builds an ethereal wall of sounds that suddenly ends letting you hanging on, while you regain your breath. 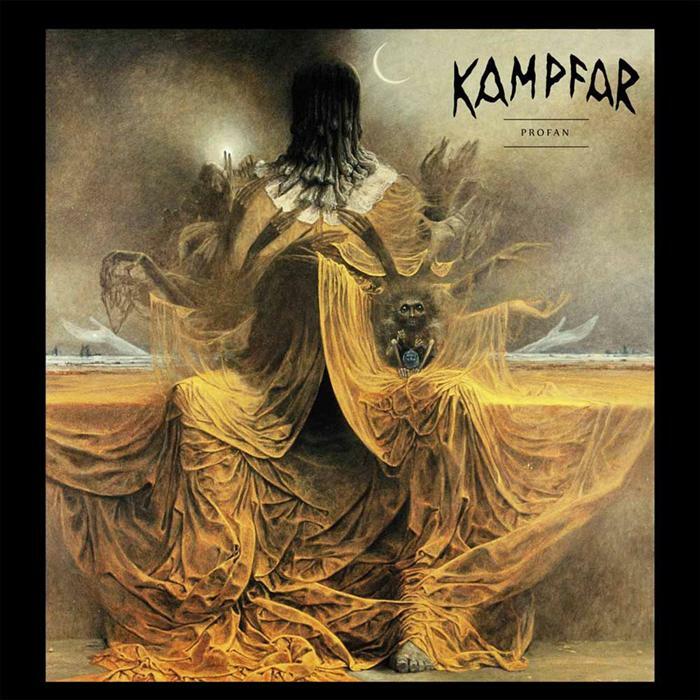 Kampfar after all were able to accomplish an album that wrapped all their essence with emotions that linger heavy, dark and raw; if I had to define "Profan" with three words, I can't think of any other way, Kampfar has proved once again they still have what it takes to make an excellent Black metal album.